Wearing safety eyewear can prevent 90% of eye injuries. In fact, Eye Injury Prevention really revolves around this simple, quick approach. Unfortunately, not everyone wears protective eyewear consistently, or fail to wear the correct type of safety eyewear for the task at hand. Because of this, many eye injuries happen yearly that could easily be prevented. In fact, the statistics concerning eye injury are startling. 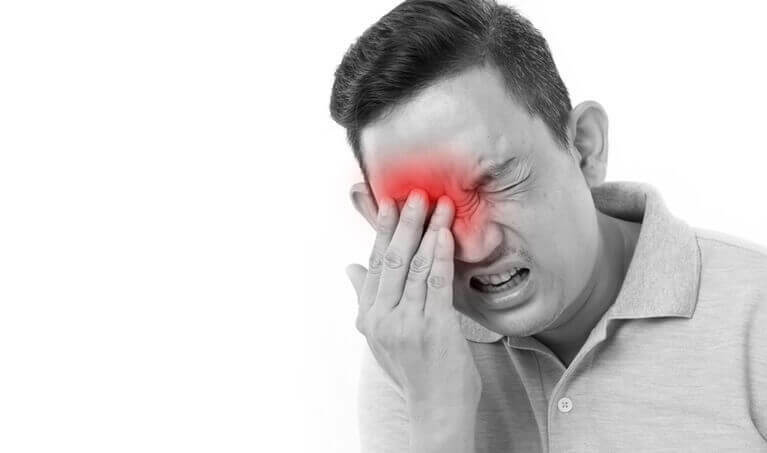 Because eye injury is still prolific, it’s important to know the risks, types, and indications of eye injuries, so treatment can be appropriate and timely. 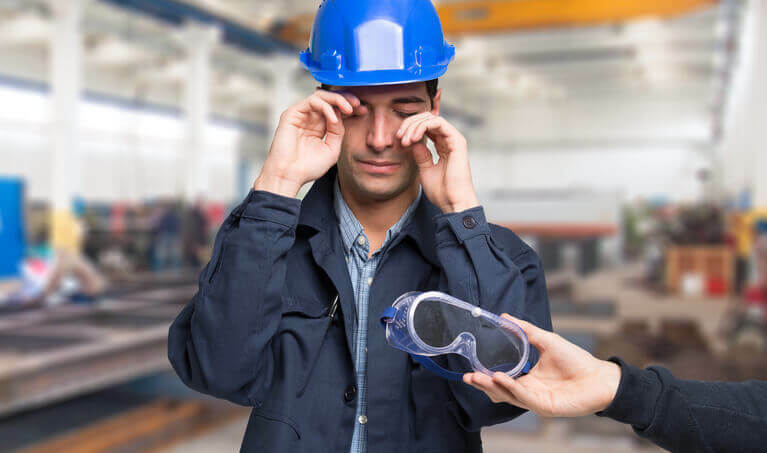 While everyone benefits from wearing safety eyewear on a regular basis, some individuals are At Greatest Risk for an Eye Injury. When looking at Eye Injury by Age Group, the top two groups include individuals ages 18-45 and children. The risk for younger adults and children comes from their increased activity. The elderly are also at risk with the majority of their injury coming from falls. Concerning the workplace, most employers adhere to OSHA requirements for eye safety and protection. However, some types of jobs are just more prone to an eye injury than others. Fortunately, awareness usually promotes prevention. That realization starts with identifying the most common types of eye injuries. Unfortunately, Eye Injuries Happen Way Too Often. Some causes are more frequent than others though. Scratches — Happen when foreign objects get into the eye or the eye is rubbed or hit. Chemical Burns — Caused by chemical splash, fumes or vapors. Flash Burns — Caused by sunlight, welding and tanning booths. Foreign Objects — Includes anything from an eyelash to a splinter or fish hook. Impact — Involves some sort of blow to the eye or the area surrounding it. Some of these injuries warrant a visit to the emergency room without question. Others, though, may present a bit more hesitation. This is why knowing the signs of a serious eye injury is essential. Eye injury type and severity vary greatly. Some require immediate medical care while others can be treated at home. How can you tell the difference? How can you move quickly beyond Eye Injury Misconceptions to appropriate treatment? There are less severe eye injuries where home treatment makes sense. An eyelash in your eye can probably be taken care of at home, for example. 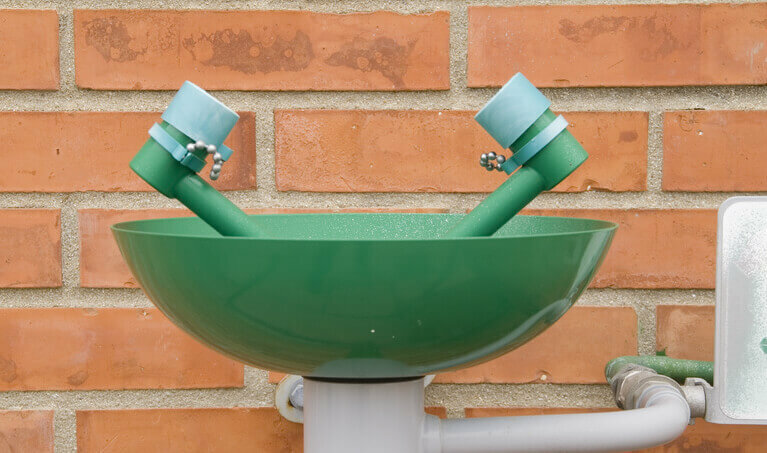 However, chemical splash requires treatment at the emergency room. Exposure to lasers and over-exposure to the sun involves waiting to see if symptoms show up, which usually happens 8-24 hours after exposure. If they do, a visit to the doctor is essential. Also, a scratch, though it may seem minor, should always include a visit since infection can quickly occur. The most important rule to follow, however, is to not take any eye injury lightly. If unsure, go to the emergency room. 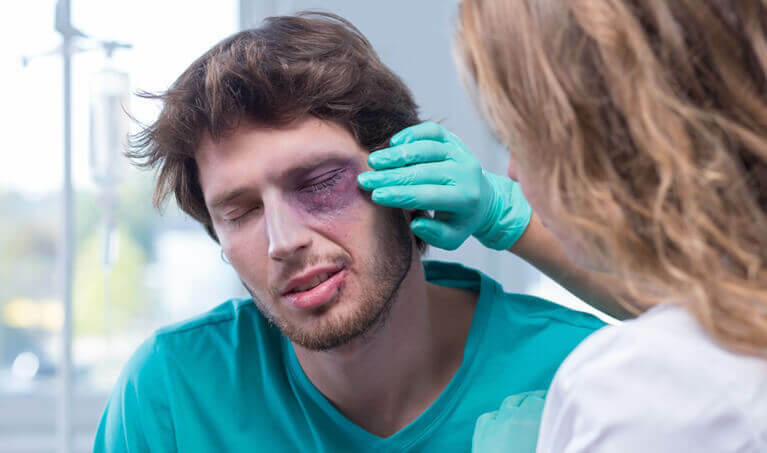 In addition to education on types and causes of eye injuries, knowing what to do — and what not to do — immediately after an injury happens but before getting to the doctor is also crucial. How an eye injury is immediately treated can determine how and even if a full recovery happens. Each type of injury has its own protocol. However, a few common-sense steps taken before and right after an eye injury, especially the more severe ones, can make a significant difference. Have a first aid eye kit that includes an eye shield and eyewash. Call the doctor before treating the eye yourself. Know the Dos and Don’ts of eyecare after an injury. Every eye injury should be treated as a potential emergency at first. It’s never a bad idea to go to the doctor right away to get your eye checked out. After all, you only have one set of eyes. Though most can be, not all eye injuries are preventable. First doing what you can to protect your eyes, then knowing what to do if one is injured are keys to long-term eye health. Good vision is a gift not to be taken for granted.